Dr. Mead studied medicine at University College London gaining a distinction in his final examination. He was awarded prizes in general academic study, pharmacology and medicine throughout his studies. He initially worked in the Professorial Hepatology and Gastroenterology unit at the Royal Free Hospital before moving closer to his family in Dorset and Hampshire. Whilst training as a specialist Gastroenterologist he spent 6 years in 4 national centres of excellence, including Southampton University and Cambridge University hospitals. He researched into the early detection of oesophageal and colorectal cancers, becoming an academic Doctor of Medicine in 2013. In the last year before taking up his Consultant post in the East and North Hertfordshire NHS Trust he practiced at Addenbrooke's Hospital Cambridge, focusing on endoscopy and inflammatory bowel disease. Endoscopy has been a long held interest of his, with fellowships in Queen Alexandra Hospital Portsmouth, a national centre of excellence and in Tokyo, Japan, a world centre of endoscopic excellence. He has published on endoscopic techniques in the upper and lower gut. 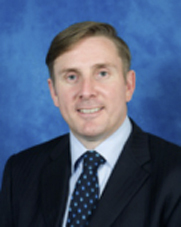 He is responsible for teaching endoscopy to Gastroenterology trainees and is a faculty member and lecturer on courses teaching advanced endoscopic techniques. Intestinal symptoms can arise from irritable bowel syndrome, coeliac disease, Crohn's disease, ulcerative colitis, bowel cancer, bowel polyps, bowel infections, excess bile acid, spastic colon, diverticular disease and drug side effects. There are many effective treatments for these symptoms which we can carefully prescribe. Lower tummy pain is commonly caused by gastro-intestinal disease. Careful examination and investigation will often lead to a clear diagnosis and effective treatment which we specialise in. Upper tummy pain and indigestion is common and may be caused by cancers, acid reflux, gastric and duodenal ulcers, Helicobacter pylori infection, coeliac disease, eosinophilic oesophagitis, gastro-intestinal dysmotility, and gall bladder disease. Careful investigation will often lead to a clear diagnosis and effective treatment. Symptoms from the pancreas and gall bladder are common and can be difficult to diagnoses. We offer a comprehensive imaging and endoscopy service to investigate these organs causing jaundice and indigestion symptoms. The diagnosis is frequently gall stone disease and may include cancers, cysts, pancreas tumours and pancreatitis.